The 2018 Ryder Cup trophy went to seniors Mitch Young and Carter Tjaden. The men’s golf team held its annual “Ryder Cup” tournament this week to wrap up a successful season. The Ryder Cup has been a men’s golf tradition for almost 10 years. 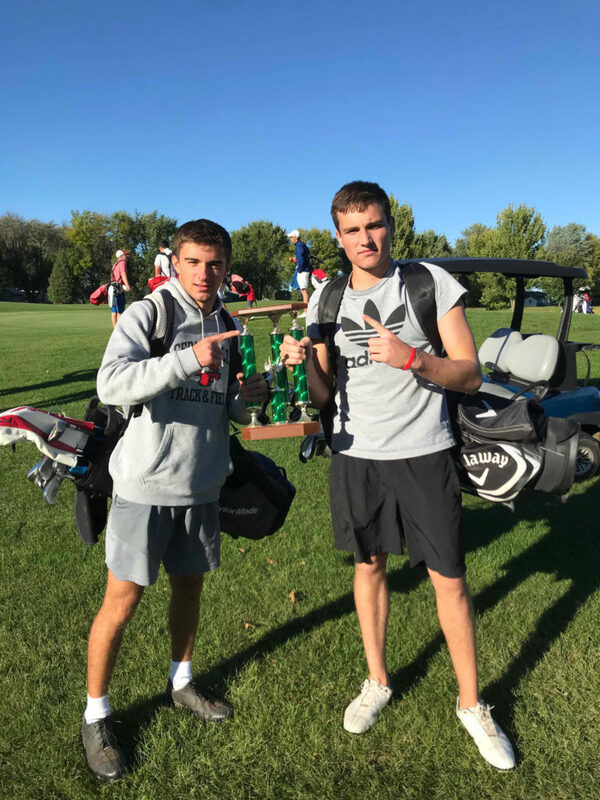 Each golfer on the team is partnered up and sent out onto Walters Ridge to play a round with different rules throughout the round, and the duo with the lowest score takes home the pride and dignity of being the champions. From the inexperienced to the veteran seniors, each golfer has a chance to win the tournament because of “handicaps.” A handicap is a set number of strokes each golfer can take off of his score at the end of the round based on their skill. “One of my favorite moments each year is hearing the kids complain about their handicaps.” Strike said. This year the trophy went to seniors Mitch Young and Carter Tjaden. “It was freakin’ awesome winning it our last year,” Young said. The duo gets the honor of decorating the trophy however they like and returning it back to the team at the annual team banquet. This has been a dominant year for Tiger men’s golf, as the team took home many awards this season. 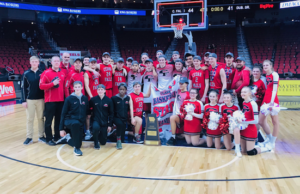 Ben Bermel, Jack Moody and Trevor Heinen were selected for first team all conference, and Luke Meyer, Kevin Yang and Joe Dean were selected for second team all conference while Brady Schlotfeldt and Mitch Young were selected for all academic. Coach Kenton Engels also won Conference Coach of the Year. The varsity team isn’t quite done yet, though, as they roll into Districts and State next week as the No. 1 team in the state, looking to bring home the conference trophy.